"Dustify" FB & GOOG for Election meddling etc. When Facebook CEO Mark Zuckerberg talks about content now, he talks a lot about restricting speech. Zuckerberg wrote an op-ed for the Wall Street Journal to explain the platform’s nebulous position on free speech. While he admitted that he “believed everyone should have a voice and be able to connect,” he also disagreed with himself. 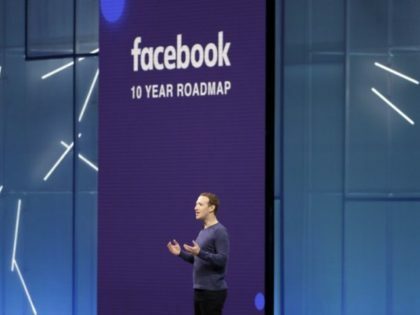 As we noted in last week’s issue, 41 of the 53 analysts tracked by Bloombergcurrently list Facebook as a buy, with “the average price target… $187, which implies upside of nearly 36%.” That optimism springs from a basic assumption: the company’s monopolistic data dominance means it can continue extracting more from advertisers even if controversy after controversy continues to sap its user growth. Given the depth and intractability of Facebook’s problems, this is at best short-sighted. I am now short FB!. Year’s range: 123.02-218.62 : Diff. : $95.60 / 50% level = $170.82, say $171 = where it is now! Will Twitter be the first Social media company to "dustify" ? Twitter shares dropped by as much as 10 percent Thursday as the company revealed its number of daily active users for the first time, disappointing investors. Only 39 percent of Twitter use the platform every day. 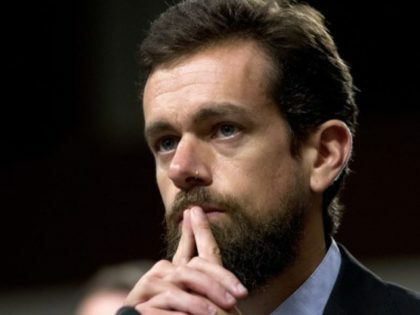 Reuters reports that following the recent release of Twitter’s daily active users for the first time, the company’s stock price has taken a hit. Twitter has notoriously never released their daily active user metrics in the past, instead revealing the percentage increase or decrease of its monthly active users. But due to a recent decline in monthly active users — partly due to the social media firm’s crackdown on fake accounts — Twitter chose to reveal its daily active users and will no longer be publishing monthly active user figures. Zuckerberg Bought me my MacBook Laptop. Thanks Mark! Well, not exactly. But the profits from FB puts covered the cost of the laptop. In fact, with FB down $7 from where I bought the puts, a profit of just $2 is disappointing. Still, I made money on these puts while the overall market was rising. I immediately SWAPPED into TZA-Calls, buying Mar.$9 Calls at $1.10, so my breakeven on TZA is $10.10. ELIZABETH WARREN: BREAK UP AMAZONFACEBOOKGOOGLE! Sen. Elizabeth Warren of Massachusetts on Friday called for the government to break up Facebook, Google and Amazon, offering a plan to re-categorize the companies and reverse some major tech acquisitions. Warren, who is running for the Democratic presidential nomination in 2020, has been a part of a growing faction within the party that has called for greater regulation and antitrust enforcement of major tech companies. "Twenty-five years ago, Facebook, Google, and Amazon didn’t exist. Now they are among the most valuable and well-known companies in the world," Warren wrote in a post on the blogging platform Medium. "It’s a great story — but also one that highlights why the government must break up monopolies and promote competitive markets." ...Warren's plan calls for legislation that would feature a new business category for companies with more than $25 billion of global revenue that also "offer to the public an online marketplace, an exchange, or a platform for connecting third parties." These companies would be called "platform utilities" and be prevented from owning the platform and any of its participants, as well as be required to "meet a standard of fair, reasonable, and nondiscriminatory dealing with users." They would also not be allowed to share data with other companies. Warren pointed to Amazon's operation of its marketplace and its sale of Amazon "Basics" as an example of a violation of the proposed legislation. She also said that Google's various businesses would need to be separated, including its ad exchange and its search engine. The week of bad news actually started March 8 with a proposal from US senator and presidential candidate Elizabeth Warren to break up the company. Then there was the longest-ever outage of Facebook’s social network and services, which almost overshadowed news of a criminal investigation into its data-agreements with other companies. Facebook’s technical glitch was resolved just in time for it to post the departure of two key executives, including the one closely linked with the company’s most iconic product. But the ultimate blow came on Friday with the massacre of 49 people in New Zealand, live streamed on Facebook.